Alcorcón is one of Rayo's most underrated shop windows - and the players who've signed for Rayo aren't highly heralded but quietly significant. So here it is - a run down of players who've signed for Rayo from Alcorcón. Carlos de la Vega is one of them. After emerging through Rayo Vallecano's youth system, the right-back went on to play with amateur sides Alcalá and Alcorcón, also from his hometown of Madrid, until well into his 20's. He did not have his first taste of full professional football until the 2008-09 season (he had only played one match with Rayo's first team in 2002-03's La Liga, two minutes) when, after returning to Rayo in the previous year, he was fairly used as the club easily retained its Segunda status. In late December 2009, de la Vega was loaned to another side in the second level, Huesca, until the end of the season. In July 2012, after more than one year out of football, the 32-year-old signed for two seasons with Leganés in the Segunda B.
Right-winger Néstor Susaeta began his career with Real Sociedad, but only appeared for the reserves during his spell with the Txuri-urdin, also being loaned to Eibar and Salamanca - both clubs in the Segunda - and being released in 2007. 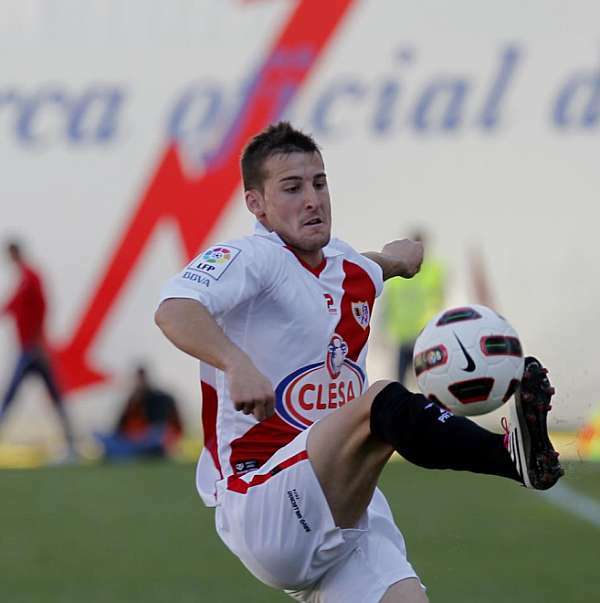 In that summer, he joined Basque neighbors Athletic Bilbao, but again only featured with the B-side, in the Segunda B. After a sole season in which he received little playing time, Susaeta signed for another team in that level, Alcorcón, being one of the most important players as they reached the promotion playoffs, ultimately falling short. Susaeta moved to Rayo Vallecano in division two in 2009, appearing in 31 games in his first year but in only 14 in the following (three starts), as the club returned to La Liga after an eight-year absence. In January 2012, he terminated his contract and signed with Lausanne-Sport of the Swiss Super League; he left at the end of the season, and moved to Guadalajara. 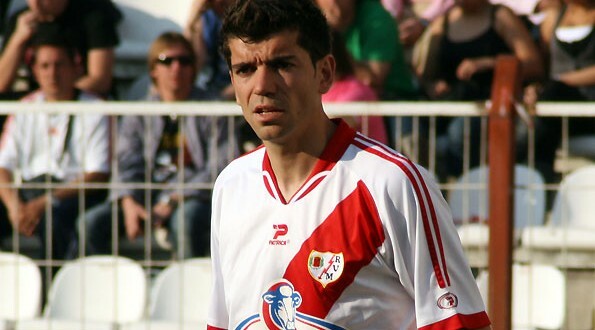 He has since played for Real Oviedo in the third and second tiers between 2013-17, and now plays for Albacete after cutting ties with the Carbayones. Madrid-born Tito spent his first six years as a senior player in lowly clubs in his native region, such as Alcalá and Alcorcón, also representing Mallorca B in the third and fourth divisions. In August 2009, due to a clause in his contract which allowed him to leave for free if any second level team required his services, the right-back left Alcorcón for another team from the capital, Rayo Vallecano, for two seasons. He only appeared in ten games in his second year as the club returned to La Liga after an eight-year absence, but subsequently became an undisputed starter. In July 2016, after Rayo's top level relegation, the former signed a two-year deal with Granada; the following January he was loaned to fellow league side Leganés, being bought outright in June. Finally, a center back who rarely gets any mention, and probably won't, is Salvador Funet Sardina, aka Salva. 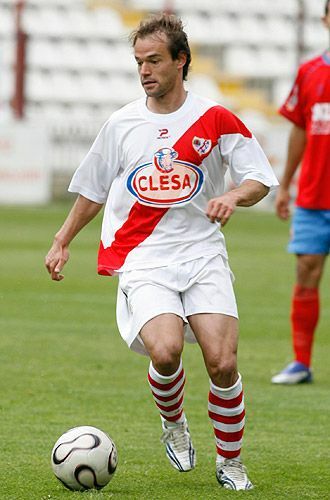 After playing for Leganés, Alicante and Alcorcón, he joined Rayo at the age of 26 in 2007, playing as backup in the 2007-08 season but starting in Rayo's overachieved 5th place in 2008-09 and their subsequent 11th place slump in 2009-10. However, at the young age of 30, he retired due to chronic problems in the right knee which saw him miss the whole 2010-11 season.